Nothing is less fashionable than overstaying one’s welcome, and after 88 years at the party, it was time to go. Patricia Joann Mitchell, proudly known as “Nana” since the birth of her first grandchild nearly 50 years ago, was the fashionista of the family, wore white year-round long before it was socially acceptable and had the unique ability to make even sweatpants look glamorous. Nana maintained that the smartest thing she ever did was to have her eyeliner tattooed on, but believed that the best thing to ever happen to her was becoming a mother. Throughout her entire life, she cared for and adored her three children, Jeff, Debbie and Priscilla. They remained close friends as adults, made amazing memories together on the annual Florida winter vacation, and they were with her until her final breath. Being one of Nana’s seven grandchildren meant waking up and opening gifts at her house on Christmas morning together with the entire family, a tradition that she inherited from her own mother. It meant receiving an affectionate but ridiculous nickname from Nana, which everyone retains to this day (isn’t that right, “Andy Bear Friend?”). It also meant that your greatest, loudest fan was guaranteed to be in the seats at any home game or dance recital, cheering you on publicly with your own special nickname. Nana had a wonderful childhood growing up in the community of Timothy with her parents, Francis and Avis Barger, who she loved dearly. Her favorite activities were ice skating on the family pond and performing as a majorette at Greenup High School. In 1947, she married Charles “Bud” Mitchell and they started their life together in Greenup. She was a meticulous record keeper with a mind for numbers which she later put to use in setting up and managing the business office of their Chevrolet dealership. In her lifetime she endured one heart attack, two strokes, breast cancer which led to a double mastectomy, two broken hips and a broken pelvis and through it all consistently looked better and more put together than the well-wishers at her bedside. One could make a case for her being unlucky, but never unstylish. Above all else, she was fabulous. At mid-morning on November 25th, the Saturday after Thanksgiving, our Nana found herself late for her next engagement, and not wishing to overstay her welcome, bid us one last farewell. She is survived by her husband, Bud Mitchell; her three children, Jeff Mitchell, Debbie (Patrick) Kuhn and Priscilla Schrock; grandchildren Aaron (Ginger) Kuhn, Shane (Carole) Mitchell, Andy (Tammy) Kuhn, Kim (Dr. Rob) Shoots, Adam (Janelle) Kuhn, Landon (Dr. Beth) Schrock, Lindsay (Jeremy) Klinger and eighteen great grandchildren. 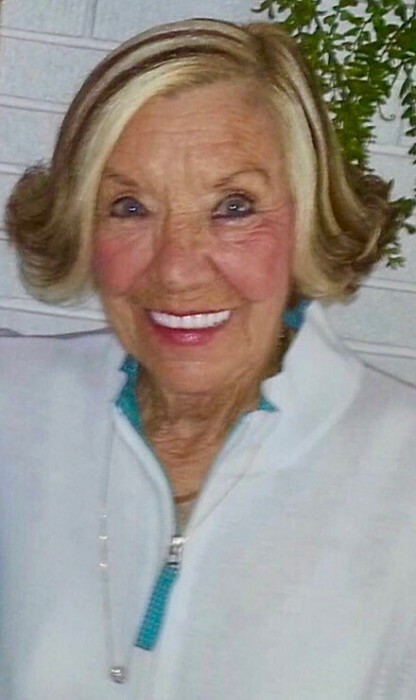 She was welcomed at her heavenly party by her parents, Francis and Avis Barger, sisters Barbara “Bob” Shull and Billie Barger, niece Becky “Janie” Brown and her “daughter-in-law who became her daughter,” Karen Mitchell. The visitation will be at The Barkley Funeral Chapel Wednesday, November 28th from 4-7 pm. Funeral services will be at The Barkley Funeral Chapel on Thursday, November 29th at 10 am with burial to follow at Harmony Cemetery. Suggested memorials, can be made to, The Greenup Township Library or Greenup Ambulance Service. Online condolences can be expressed at www.barkleyfuneralchapels.com.